Australian businesses are increasingly moving towards boosting their branding and exposure. Beyond a website, one of the best ways to do this is with a domain-associated business email address. So where are the cheapest and free business email providers for Australian businesses? Let us tell you. Beyond free email solutions (GMAIL, Hotmail and Yahoo) lies business email address which automatically gives your business a more professional image. You can pick any email account for your branding - sales@, hello@ or info@ are just some of the many examples. Best of all, with the right service provider, you have a platform that quarantines your emails and allows you to have dedicated support, uptime and service. A professional email address is ALWAYS advert-free and easily accessed for adding and removing team members as needed. As an Australian provider ourselves, We value Australian based hosting highly which is why 2/4 of our "best of" email hosting providers are Australian based. However, if you're planning on having multiple email addresses and avoid added costs, it is essential to pick a service that allows multiple email addresses within the same plan or for very little additional expense. Having this gives you the freedom to add accounts like office@ or sales@, as well as setting up an email account for each sales team member etc. Before making any decision on the service you want to go ahead with, we recommend that you contact 2-3 shortlisted providers and ensure they meet your needs. Please consider this a starter guide to help you build your small business branding with a professional email address. In one sentence: A solution from one of Australia's most popular domain registrars, backed with 24/7 freephone and chat support, all at a very attractive price. Packed with freephone support, Australian-based hosting and a reasonable 3GB of storage space, this package is perfect for SMEs using 1 or 2 email addresses. "Seamless integration with Outlook" is delivered by the service, which can save some setup time and any ongoing issues. We don't dislike the 3GB storage limit, but if you are a heavy file sender this may be used up in 1-2 years. If you like great support, Australian-made and don't use email in great volumes (or delete emails regularly), the iinet package is a winner. In one sentence: A meaty 5GB mailbox solution from one of Australia's most popular domain registrars, backed with 24/7 phone support. 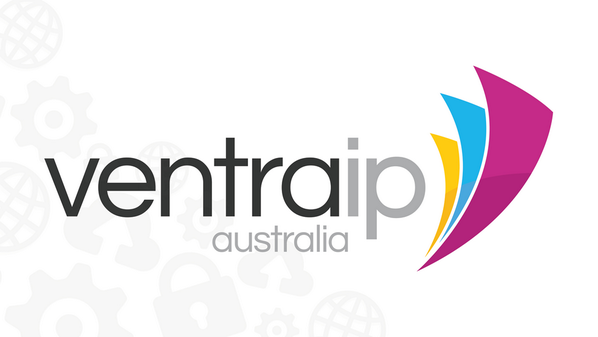 The 24/7 freephone support, essential for peace of mind all provided with Australian hosting. The 5GB storage space - this is likely to suit a standard business perfectly. Fast integration, reliable service and uptime meaning no missed emails. A nice add-on for 9 extra email accounts for approx $5.50 more per month, reducing the cost per email account to <$10/month each. Not much. The pricing may be higher than Netregistry or VentraIP, but the service extends with the phone support that is worth paying the premium for. If you demand 24/7 support, access your email on desktop and phone and don't send email in great volumes (or delete emails regularly), the AustDomains service is a potential winner. In one sentence: A service is suit any business who is prepared to shop away from Australia and get an excellent deal. Rackspace's trademarked "Fanatical Support" which covers you with 24/7 call, click, or chat assistance. Works perfectly with Outlook and other providers. RacksSpace begins in support, and if you value a good deal above Australian-made, this service is going to be perfectly suited to your business. In one sentence: Australia's only 100% Free email hosting service. And it delivers a reliable email service. It's free. That is huge when comparing this critical factor among the email hosting service providers in our comparison. The support manuals that are provided for connecting the platform to a number of devices, with very little limits. The service includes up to 25 email accounts, each with 5GB of space. The easiness of setting ZOHO up - just make a couple of changes in your domain DNS and get your email online within 10 minutes. Because it's free, there is little support other than ZOHO community boards, but you get what you pay for in this respect, and in our experience the solution operates reliably meaning your business emails will always be sent and delivered. ZOHO is PERFECT for any business wanting to control their costs. If you are an Australian startup, small business or established SME looking to adopt business email but don't want a financial commitment, Zoho is 100% for you. ​In one sentence: Their website may not look very impressive, but the service does deliver at a fantastically affordable price. Affordable pricing, half the cost of Google Apps with local Malvern (Victoria) service. Unlimited free aliases, meaning you can create a number of emails (support@, sales@, HR@) which all forward to one email address which gives some seperation of your business functions at no extra cost. Standard features (virus protection, daily backups etc) and a comfortable 25GB storage space. If you live in Malvern, Melbourne or the wider area, these guys might be worth a shot if you prefer a local provider with one-to-one attention. ​In one sentence: VentraIP offers a standard service at an affordable price, but the support system beyond phone is email based and can be difficult. This is a standard email service, with a 5GB storage box. The freedom to pay monthly, quarterly or annually. The 9am to 9pm phone support. Slow email replies for simple support queries, which requires logging in to your service/portal and submitting. We don't see a huge amount of merit in the VentraIP service when compared to others in the price range, but it is worth taking note that if you are an existing client using them as a domain registrar they do offer discounts. ​In one sentence: The smallest mailbox on offer, mixed with limits in features forcing the average user to upgrade to a much more expensive $120/year) service. A small 2GB mailbox, in fact, the smallest of all in our comparison. The service doesn't use IMAP, meaning you can't integrate it to an iPhone or iPad. The package is most suitable for those who check their email via webmail, which isn't a lot of people. We don't see anything worthy in the NetRegistry offering, and the limiting features means you'll either need to upgrade or find another provider fairly quickly. ​In one sentence: A popular domain registry enters the email hosting service market, pricing at the higher end but let down by a complex control panel and slow email-based support. Good value for a paid email hosting solution, backed by American service. Slow email replies for simple support queries, albeit communicated effectively. Not an Australian provider, despite a .com.au domain name and Australian phone numbers. We don't see a huge amount of merit in CrazyDomains' and suggest a more cost-effective local email hosting provider. In one sentence: Google Apps is the world's most popular paid email hosting service, but the popularity doesn't mean it's worth it, and we don't think it is. The speed, reliability, 24/7 support and reliability of the service. A HUGE 30GB storage limit for your inbox - this will set you up forever unless you are very heavy in file-based emails. The platform includes the ability to sync with all your other Google products - Calender, Youtube etc. The costs! 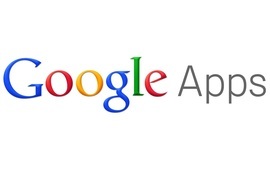 Google charges $5/email account, with no discounts . So if you're a growing business, this is going to get expensive as you get no confession discounts (which exists in the favoured providers above) and thus pay $60 per team member per year. You're paying for a service with Google, you're possibly paying too much. We recommend looking around. In one sentence: Aggressive in marketing, but does deliver the goods - we like the service, but better details can be found elsewhere. The 24/7 "can do attitude" service! It really does not get much better than GoDaddy, who deliver the best technical support in Australia. The simplicity of the control panel, easy setup and excellent resources meaning getting your business email online is near-instant. The pricing. At $70+ a year, better deals can be found elsewhere. If you want 24/7 support and are an existing Godaddy domain registration customer, this this service will probably be for you as the integration is seamless. We also recommend prospective clients should contact GoDaddy via online chat and ask for a discount - their support agents are often quick to give it. ​3. MelbourneIT - expensive, contractual and....did we mention expensive? In one sentence: Australia's most trusted provider of domain names and hosting, MelbourneIT delivers one of the most expensive email hosting service. A HUGE 50GB mailbox - the biggest available within this provider comparison. 1 TB (1000GB) of OneDrive (Microsoft) storage, saving you potential fees incurred by other cloud storage providers such as Dropbox. MelbourneIT is a proven provider, and their support can't be faulted. High pricing, low value - for a business email service, you don't get much in the way of features. A 12 month contractual commitment to the service. MelbourneIT is unsuitable for most SMEs looking for domain email, given the pricing (twice as much as Google Apps). While they remain popular, and we've included them as their offering is similar to others, we do recommend looking at iinet or some of the more affordable service providers.